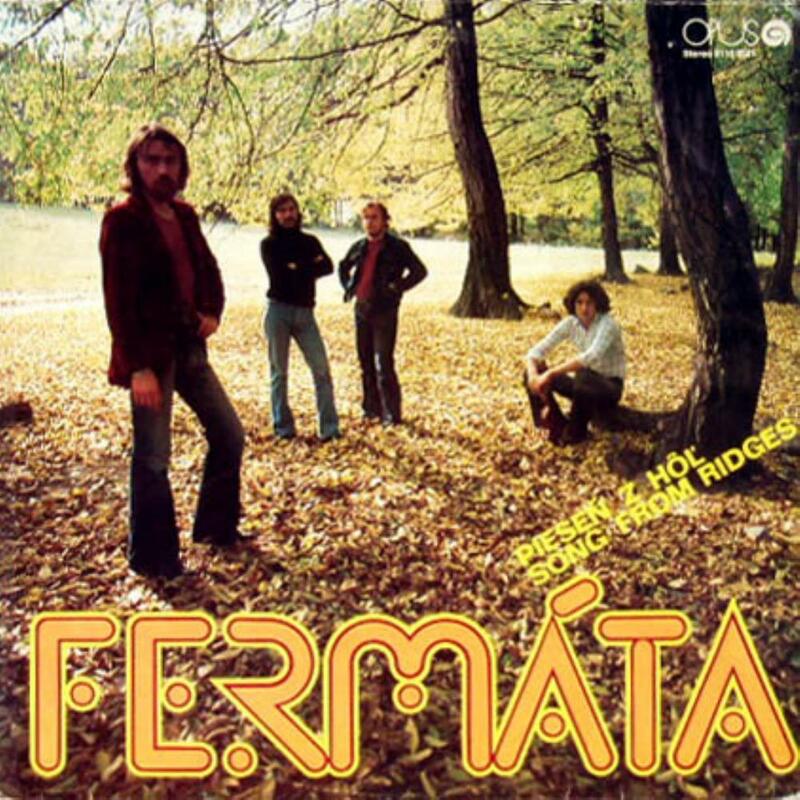 Fermáta's second album from 1976 featured an updated rhythm section of Anton Jaro on bass and Cyril Zeleňák on drums, which in my opinion is the most smoking rhythmic tandem the band ever had. The album is similar to its predecessor in many ways yet also different. It's less guitar based and less riff heavy (quite strangely two of the six track don't feature any guitar at all, and another one only a little bit in the background). Instead, for the most part, it's toned down to chill fusion, which doesn't take anything away from its quality, but if you prefer manic soloing a la early Mahavishnu, I'd go for the debut. The one glaring exception to this updated sound is the explosive opening title track, which for most of its duration relies on Anton Jaro's repetitive bass ostinato while the soloists go crazy over it for 11 minutes. The following tracks are more toned down groove based numbers, somewhat reminiscent of mid-period Weather Report, except with less sonic variety, as the keyboard sounds are exclusively rhodes and moog. "Priadky/Spinning" sounds a bit like soundtrack from one of the old Nintendo 64 games. Some elements of slavic folk music also sneak in, especially on the closing track "Vo zvolene zvony zvonia/Bells are Ringing in Zvolen", with folky violin trading off with Berka on synths. But despite the very lovely violin soloing, this track is actually somewhat boring. The sound of this album is generally improved compared to the first, the snare drum doesn't sound like cardboard boxes anymore, but this time they managed to make the drums too loud to the extent that they clip. You will find it takes Fermata a long time to get a really good production job on one of their albums. Still "Song from the Ridges" belongs among their best. Highlights: "Piesen z hol/Song from the Ridges" and "Priadky/Spinning".